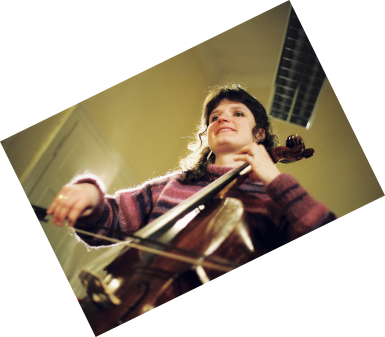 born in Budapest she studied violoncello at Béla Bartok Conservatory and at the Franz List Music Academy (Prof. Ferenc Rados and István Csurgay). Afterwards studies with Prof. Valentin Erben (Alban Berg Quartett) and Viola da gamba with Prof. Jose Vazquez at the Music University of Vienna. Member of several orchestras in Vienna, CD and TV recordings. Teaching in Vienna and at workshops in Hungary, Austria, Germany, Switzerland and Italy.